The Weekender this past week scoured Lewis County for the best burgers out of a true Americana-style burger joint. 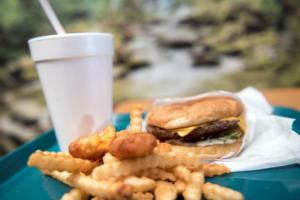 That means not a bar, not a restaurant, not a chain or fast food, but one of those shacks devoted to doing just a few things right — a great burger, fries and a milkshake. 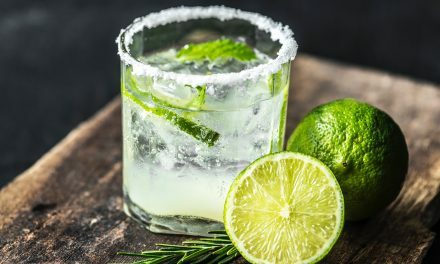 The Weekender acknowledges there are many great burgers served in our area in bars and restaurants, but we wanted to offer a guide for those truly devoted to the greasy burger that we all crave from time to time, along with the ambiance that these small, often kitschy hole-in-the wall establishments are known for. 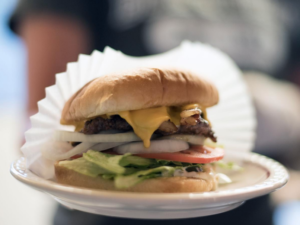 Before we launch into what makes a great burger joint, we tip our hat and sadly say goodbye to one of the classic burger joints that closed at the end of 2018 — Harold’s Burger Bar in Centralia. The business has fed the citizens of the Hub City for the past 70 years. Anyone who has grown up here has had one of Harold’s burgers. 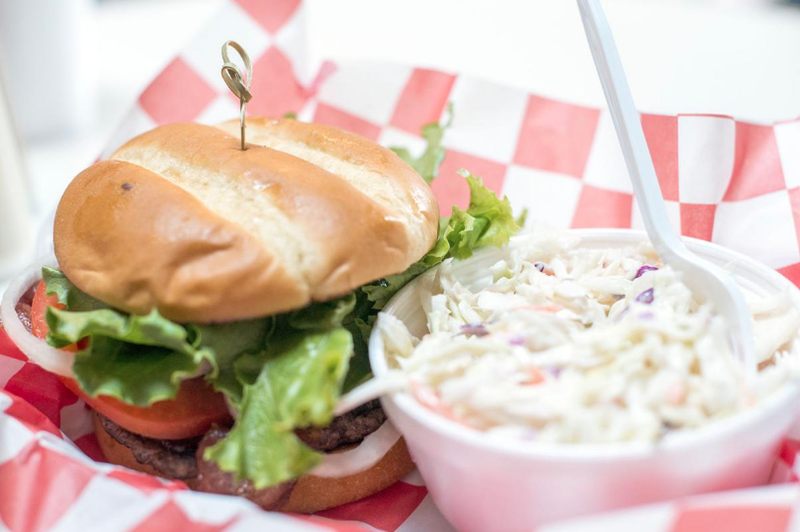 Betty’s Place in Toledo, a past recipient of a Best of Lewis County award for its celebrated burgers, is great because of its consistency, said owner Kay Pratt. “(It’s the) same burgers made in ’83 as made today,” added husband Jerry. Betty’s Place doesn’t have any secret ingredients, but it has plenty of variety, Kay said. 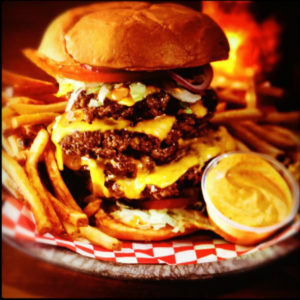 The menu’s most popular item is the deluxe burger, and it is all made on site; nothing is pre-cooked. Pam Meade is a regular customer at Betty’s. Betty’s Place cooks make all the food to order, just like they always have. “We make it. It’s not pre-cooked,” Kay said. “They’re cooking it while you’re waiting,” Jerry said. On busy days, the wait time can stretch to 45 minutes, but loyal Betty’s burger lovers will wait, he said. At Bill and Bea’s Drive-In in Centralia, not much has changed since co-owner Jill Greene first started working at the restaurant nearly 50 years ago. Greene began working at Bill & Bea’s, located on Harrison Avenue in Centralia, in 1969, and has been involved there since. Jill and her husband, Denny Greene, purchased Bill & Bea’s in 1999. Greene says that Bill & Bea’s, which was one of just a handful of burger places in Centralia in the ’60s, is not fast food. The time put into each burger’s production makes the process more time consuming than some might expect. 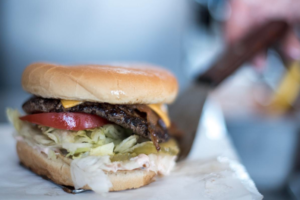 At Burger Claim in Grand Mound, the focus is, obviously, on burgers. Specializing in gourmet burgers, the restaurant operates next to the Great Wolf Lodge under the ownership of Don and Rena Morris. The couple decided to make some unique decisions and keep key functions in-store. One of these is grinding their own beef daily, which Don Morris said excludes fillers and trimmed meat. “We grind our own meat daily and use chuck and sirloin — all fresh — and we add our special seasoning to that,” Don Morris said. Their popular quarter-pound burger also clocks in at the full 4 ounces or more after being cooked, meaning customers actually get a full quarter-pound of meat. They also cut their own fries in-store and run through roughly 120,000 pounds of Washington potatoes annually. All their hamburger buns are from Wheat Montana Farms and Bakery, which grows and processes wheat and bakes all its own buns. You can watch the cook in action from the front counter. The hamburger is scooped up into a ball, flattened on a grill — not pressed down hard — which makes them a bit thicker and juicy. They use a flat-top grill. When the meat hits the grill, it immediately seals in the flavor and juices. The Weekender downed a few burgers last week and came away with the craving for a great burger satisfied. At the Dairy-Bar in Chehalis, tradition of 50 years is the key. The stand offers a variety of soft-serve ice cream flavors and 30 different flavors of milkshakes, in addition to burgers, fries and more. 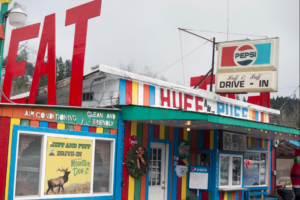 Another favorite burger joint in Lewis County is Huff and Puff on Highway 12 in Randle. The restaurant, with its vibrant exterior and massive signs on each end simply stating “EAT,” has operated with little interruption since the late 1950s, according to the current owners Robyn and Stewart Hall. Huff ‘N’ Puff remains a popular stop, and the restaurant was even featured in National Geographic’s “Traveler” magazine. Robyn Hall described their business as a classic burgers and shakes outfit, but the humble description skirts the wide array of burgers, shakes and homemade take-and-bake pizzas they also offer. While Robyn Hall said the bacon cheeseburger is always a popular choice, they also serve game, including an elk burger. While the actual eating space inside is limited, Robyn Hall said that up to 75 percent of their business is from carry out orders. Another out-of-the-beaten path burger joint is the Little Crane Cafe in Vader. One of the most important aspects in shaping Lewis County has been the railroads, which brought jobs, exposure and people as they changed the landscape and altered the direction of commerce. By all accounts, the tracks have been equally as important for the Little Crane Cafe, located not more than 100 feet away from them in Vader. Ginnie Dailey opened the cafe three decades ago when her husband worked in the logging industry. As train after train rolled by, she pointed out the walls, which are covered in historic pictures, many of them featuring locomotives. “Railroad kind of saved my bacon,” she said. Son Jason Dailey said customers come from all over the region, but regulars come from Ryderwood, Winlock and Toledo. 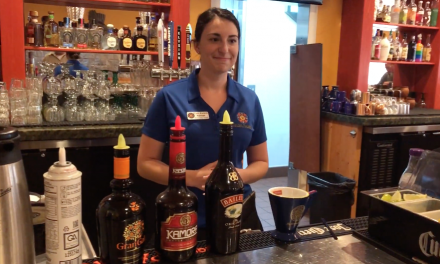 Since the internet has made looking up their cafe that much easier, they’ve been seeing more customers from Interstate 5 and as far away as Portland. 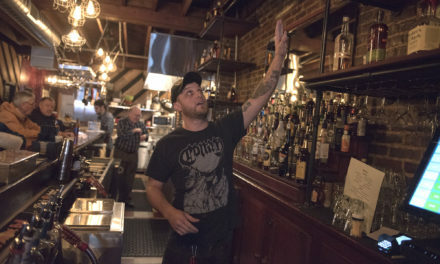 The restaurant, described by owner Renae Clevenger as having stayed a “small burger place,” has nonetheless expanded over the years. Clevenger said the Morton Spiffy’s has been in her family for around 40 years, after her parents bought it from the original owners. “We just take pride that everything that goes out is something that you’d like to eat,” she said. Like many businesses, Spiffy’s is kept afloat by waves of tourists and travelers who cross White Pass during the summer. Spiffy’s also caters to many of the mill workers in town, who Clevenger said often place orders during the workweek. 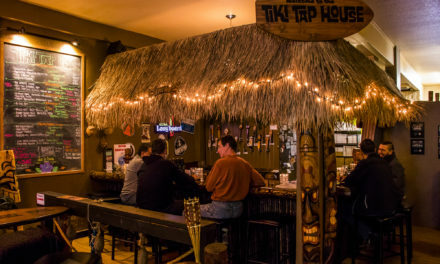 The restaurant started out of a double-wide trailer and later had a dining room built onto it, but the heart of the operation, the kitchen, still sits in the original trailer. 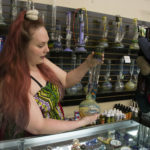 — Some materials in this article were previously published in The Chronicle.